Italian grow up eating pasta, our grandmothers used to make it at home with simple and genuine ingredients. 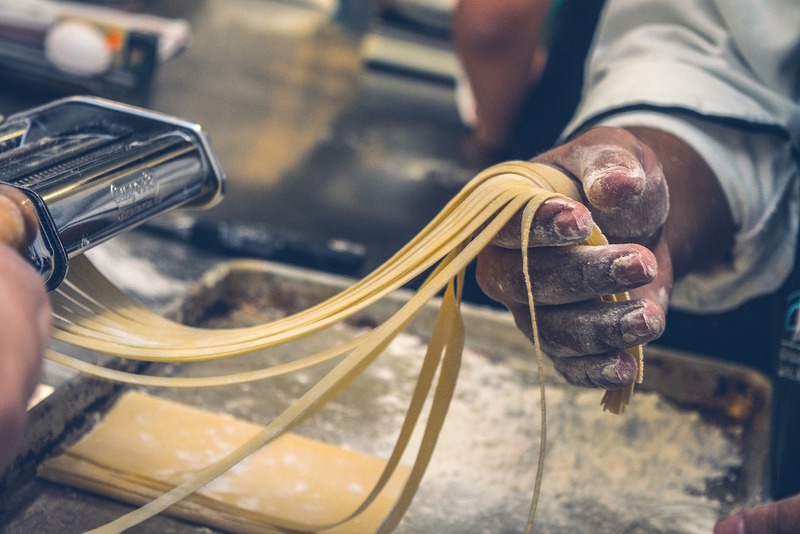 Flour comes from high quality Italian producers, and we knead it with traditional pasta machines. Local water is added after being filtered and extra purified. We decided to keep this fundamental tradition and all our fresh pastas are made in house, in a healthy, simple and authentic way, just like our grandmothers used to do it. Dry pasta is imported from the best organic producers directly from Italy and served with our own tasty sauces.